The 113 year old Railway over bridge at Gogte circle which was closed for traffic 3 days ago has now been opened again for regular traffic. 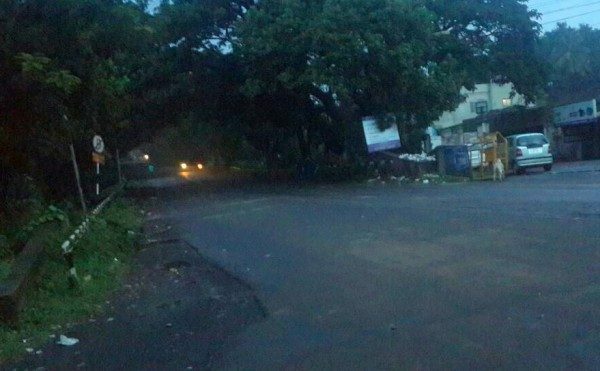 The barricades on the RoB were removed at mid night and regular traffic. Still it is unclear as to when the work on the RoB would commence. DC Ziaullah had said that decision on the same would be taken after the report from the Police regarding the traffic. However it is very surprising why the barricading was done at midnight with out any information and again the same was removed as well at midnight. Strange Decisions ! on the part of the Belgavi Administration !!!!!! Today’s Mumbai’s incident is lesson, still time is there to take corrective of Belagavi ROB. Thanks……… it’s a grate job for the traffic ? to place the brackets in SO CALLED SMART CITY… I THINKS 60% WORKING INVOLVED THE CLOSING THE ROADS AND …..it may reach to 100% in coming days…… general public opinion.. keep it up. Thanks. Except for the 1st & 2nd day, the traffic was smooth at 1, 2 & Rly gates with traffic police had handled the traffic completely hassle free. Kudos to traffic police & public at large who co operated without grudge. Forget about the few who cannot be satisfied even by HIM.